A multipurpose theme with a beautiful website building experience. WordPress theme for the modern business or startup looking to make a bold & beautiful statement on the web. It's flexible, feature packed, and built the WordPress way. You're not going to get a bloated theme with options that get in the way. 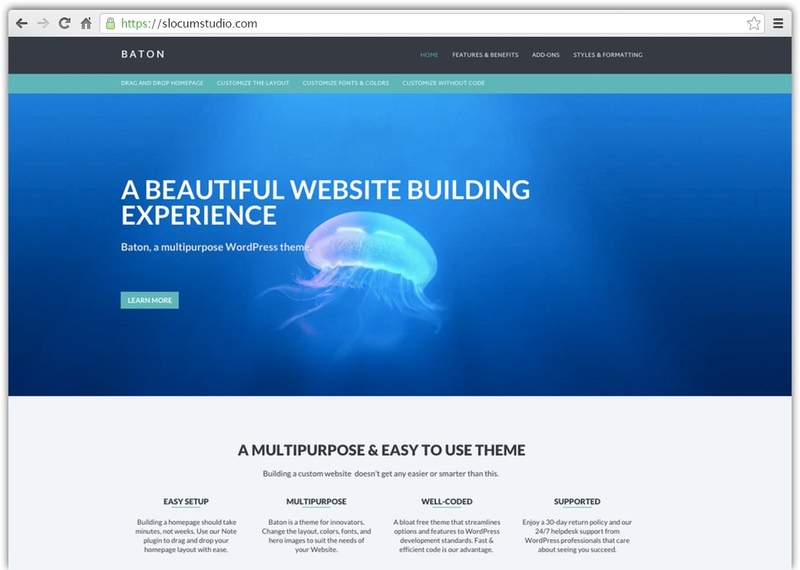 Instead, Baton was built to be intuitive and purposeful for the web designer that is looking for a well-built theme. The following content is published on our Baton demo site. Baton Pro will allow you to build a homepage that you desire within minutes -- not days. Changing colors, font-sizes, and layout is a breeze in Baton Pro. You don't have to be a developer. Baton Pro uses our Symphony starter theme at its core. This means it has flexible layout options. 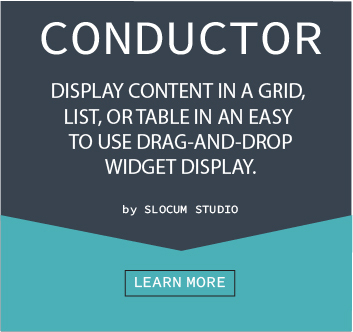 Baton Pro is fully compatible with our Conductor plugin. As we add more features to Conductor, Baton Pro receives the same benefits and unique content design displays we roll out. Baton Pro really shines when you leverage the live-editing and custom layouts of our Note plugin for your homepage layout. Baton Pro allows you to customize your WordPress website through the powerful front-end customizer. If you’re looking to save time customizing your WordPress website, then upgrading to Baton Pro is the best way to do it. Once you upgrade to Pro, you unlock many of the features that make this a great premium theme.